Though Dorothy Gale and her friends are from Kansas, they also have a home in the mountains of North Carolina. Located in Beech Mountain, N.C., the Land of Oz is a park that opens to the public a limited amount of times per year. For the last 20 years, the Autumn at Oz festival has welcomes thousands to the former amusement park. This year’s event was held Sept. 9, 10 and 11, bringing out approximately 8,200 people. There was a Wizard of Oz amusement park in North Carolina? Land of Oz was originally an amusement park that opened in 1970 and owned by Grover Robbins, who also owned Tweetsie Railroad, a train and wild west theme park in Boone, NC. Robbins leased the Beech Mountain property and wasn’t sure what to do with it until he teamed with park designer Jack Pentes, who said the trees reminded him of the haunted forest in the “Wizard of Oz” (1939), according to Land of Oz representative Sean Barrett. Debbie Reynolds with Carrie Fisher at the opening of Land of Oz in 1970. Actor Ray Bolger, who played the Scarecrow in the film, was at the 1968 groundbreaking , according to the Land of Oz website. Actress Debbie Reynolds, who collected Metro-Goldwyn-Mayer film memorabilia, partnered with Robbins to provide some costumes and props from the 1939 film for a small museum located on the amusement park property. Reynolds attended the June 1970 grand opening with her daughter Carrie Fisher. The park originally consisted of one ride, character houses, Emerald City, an amphitheater, shops and a restaurant. But the amusement park only operated for 10 years. In 1975, a fire crippled the park which destroyed the amphitheater and adjacent shops and restaurants. The museum was also broken into and items such as Dorothy’s original dress were stolen. The park closed in 1980, but was bought in the 1990s. Now, the park is opened part-time for the yearly fall event. So what is this festival? The night before heading to Autumn of Oz, I pre-gamed for the event by revisiting the film. Sunday morning on Beech Mountain started out as chilly and foggy. Oz fans loaded up on buses that drove up the mountain to the former amusement park. When you enter the park, everyone is greeted by Dorothy. You then follow a trail where you run into Professor Marvel, Mrs. Gulch and the farm hands before entering Dorothy’s farm home. Aunt Em and Uncle Henry shoo you into the cellar because a storm is coming. It’s sort of like a fair fun house in the storm cellar with the sounds of the film’s tornado all around you. You exit the tornado into a crooked, disheveled house. On the other side of the rainbow, the coroner is there to inform you that you killed the Wicked Witch of the East. You hit the Yellow Brick Road where you meet—and take pictures with—the Scarecrow, the Cowardly Lion, Dorothy, Glinda the Good Witch and the Tin Man. The witch’s castle guards divert your path down towards the Wicked Witch of the West’s castle through the haunted woods filled with flying monkeys. You find your way out and end up in Oz to meet the great and powerful Wizard of Oz. It was fun to see the actors in character and watch small children react to each one. After seeing photos online of Land of Oz, my goal for attending Autumn at Oz was to see the old amusement park so I could take photos for Comet Over Hollywood. The visit lasted two hours from bus ride up the mountain, seeing the sights, meeting the Oz characters and heading back down the mountain. It wasn’t too brief or too long. While Land of Oz is a fun place for children, most of the attendees were “Wizard of Oz” loving adults. A film released 77 years ago still touches nostalgic memories for fans and is an important part of childhood for many. Throughout the day, I heard people quoting the film, commenting that they dressed up as Dorothy for Halloween as a child, or would watch it when it aired annually from 1959 to 1991. 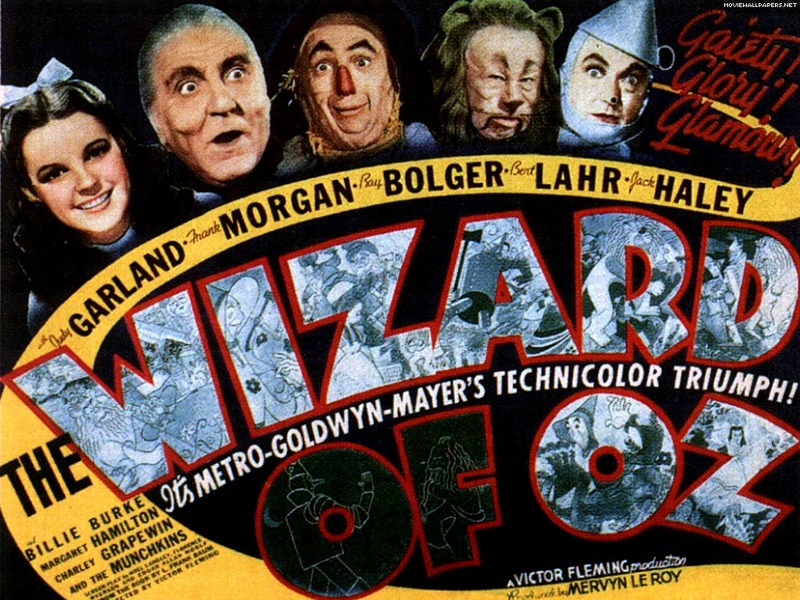 “Wizard of Oz” is just one of a long list of films made during the great year of 1939. And while many of the other films still resonate, none of them touched as many lives and generations as the one starring a little girl who realizes there’s no place like home. 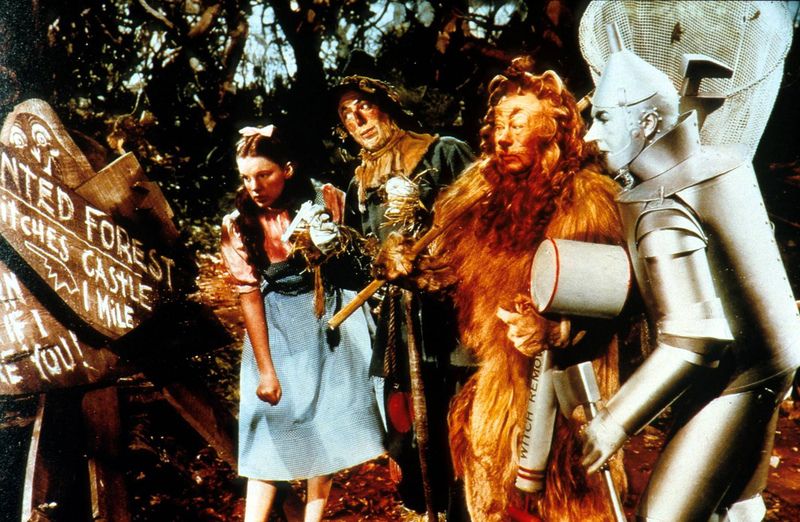 “The Wizard of Oz” in 3D: Was it necessary? My parents introduced “The Wizard of Oz” to me when I was a baby. My sisters and I all have dressed up as Dorothy for Halloween or a book character day at least once. We also have Dorothy Barbies, dolls and my mom owns “The Wizard of Oz” collectors decorative plates. Needless to say, the Pickens family are fans of the film. I grew up with “The Wizard of Oz” just as my parents did when it was shown yearly on television. 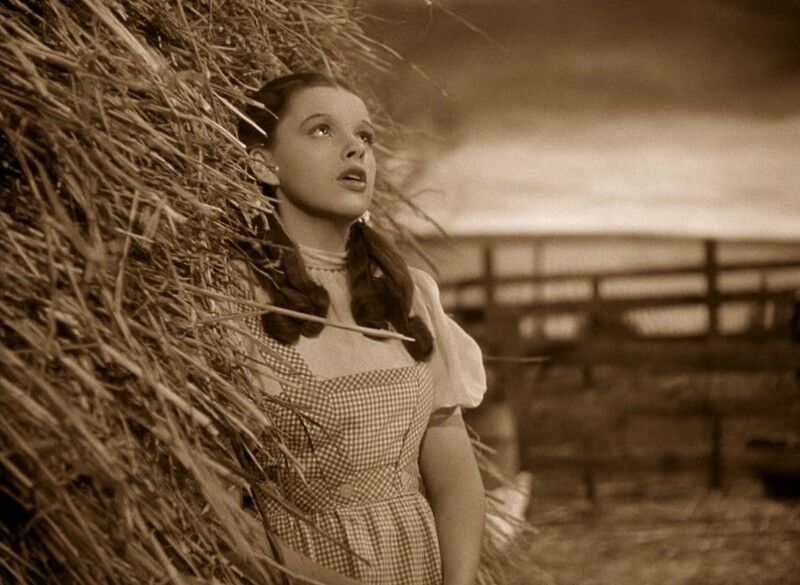 “The Wizard of Oz” was what taught me about the state of Kansas and what a cyclone was. Like most movies, the information and lessons it taught me molded my young mind. When I heard the 1939 film starring Judy Garland as Dorothy was going to be released in 3D and IMAX, I had mixed emotions. 1. I wanted to see the film on the big screen, because I never had before. 2. I don’t like 3D and avoid it at all costs. Why did they feel the conversion was necessary? Though I wasn’t pleased with the thought of 3D or paying $17 for a movie ticket, I couldn’t pass up watching a classic film in a movie theater- something that doesn’t happen much in my area. The Technicolor was lush, I laughed at the supporting characters, cried at the end of the movie and I enjoyed myself. It had been years since I watched “The Wizard of Oz” from start to finish. I forgot how funny the jokes are and how visually beautiful it is. Having the opportunity to see a classic film on the big screen is a special experience. Even if you have seen the movie before, you pick up on jokes and subtle movements and expressions better than you can on your television. You are also forced to pay attention to the film, because it is just you and the screen. But the big question is, was the 3D necessary or distracting? The 3D wasn’t obtrusive or dramatic. Many scenes looked similar to if you were watching a 2D version of the film. The times it stood out the most were when the Wicked Witch (played by Margaret Hamilton) pointed at the camera or when Glenda the Good Witch (played by Billie Burke) gestured with her silver wand. The 3D mostly was used for depth. Dorothy sat a little further out from her surroundings as she sang “Somewhere Over the Rainbow” and the Lollipop Guild stood out as well. These scenes weren’t bothersome, but there just wasn’t much purpose to it. The only other 3D film I have watched in a theater the John Wayne film “Hondo” (1953) at the Turner Classic Film Festival. While the 3D wasn’t used excessively in “Hondo,” it’s use was more dramatic. Native Americans rode on horses towards the screen and arrows looked like they were coming at you. There was nothing that dramatic in “The Wizard of Oz,” not even a flying monkey looking like it was going to share your seat. There were a few times I felt 3D made things a bit blurry (or maybe it’s my bad eye sight) like when the Scarecrow (Ray Bolger), Dorothy (Garland), the Cowardly Lion (Bert Lahr) and the Tin Man (Jack Haley) ran through the poppy field. Another area I felt was a bit blurry was when Dorothy opened the door to Oz-taking the film for sepia tone to Technicolor. In general, I’m not a fan of colorization of black and white films such as “It’s A Wonderful Life” (1946) or “Rebecca of Sunnybrook Farm” (1938). I feel that modifying a film from 2D to 3D falls under the same distasteful category as colorization. All of these tactics are to bring in younger audiences. But why change art? If a younger audience doesn’t like the “Mona Lisa” would we paint a smile on her? 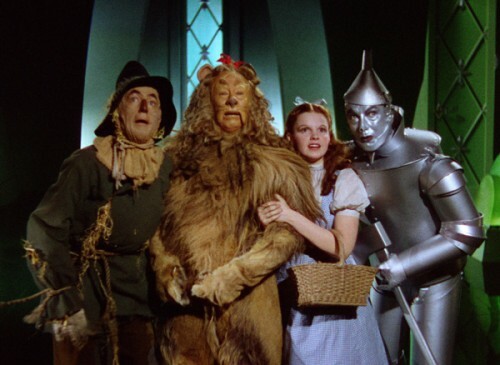 From 1938 to 1939, the script of “The Wizard of Oz” had several rewrites and stars were recast in the film. Shirley Temple was originally considered for the role of Dorothy. 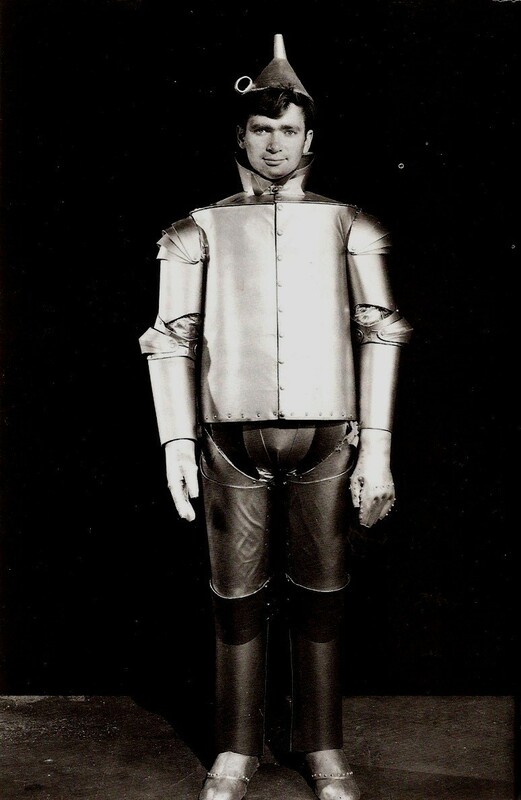 Buddy Ebsen was going to be the Tin Man but was allergic to the silver face paint, and Jack Haley was cast instead. Margaret Hamilton, who played the Wicked Witch of the West, received third degree burns on her hands and face during her firey exit with the Munchkins. A lot of blood, sweat and tears went into the director’s vision of “The Wizard of Oz.” Modifying the film from 2D to 3D is going against artistic wishes. When it was announced “Wizard of Oz” was going to be in 3D, it was said, “If 3D was around in 1939, this is how it would have been shot.” Which is a ridiculous response. Filmmakers have had 3D capabilities of some sort since the 1920s and 1930s. MGM even made a short film in 1935 called “Audioscopiks” testings 3-D. Then 3D film fell briefly into the mainstream from 1952 to 1954. Hollywood was using 3D to pull movie goers away from their television screens and back into theaters. So saying “If 3D was around” is a fairly ignorant response. But to answer the $64 question of “Was 3D necessary?”: No, probably not. But so far, since “The Wizard of Oz” was released last Friday, it has made roughly $3 million. It has served the purpose the money making purpose it was supposed to. Regardless, I really enjoyed seeing “The Wizard of Oz” for the first time on the big screenscreen. The popularity of “The Wizard of Oz” has remained for over 75 years, so why look any further to improve on it when it isn’t needed. I think this is terribly ironic because just last Friday I was watching the documentary “Memories of Oz” (2001) on Turner Classic Movies. 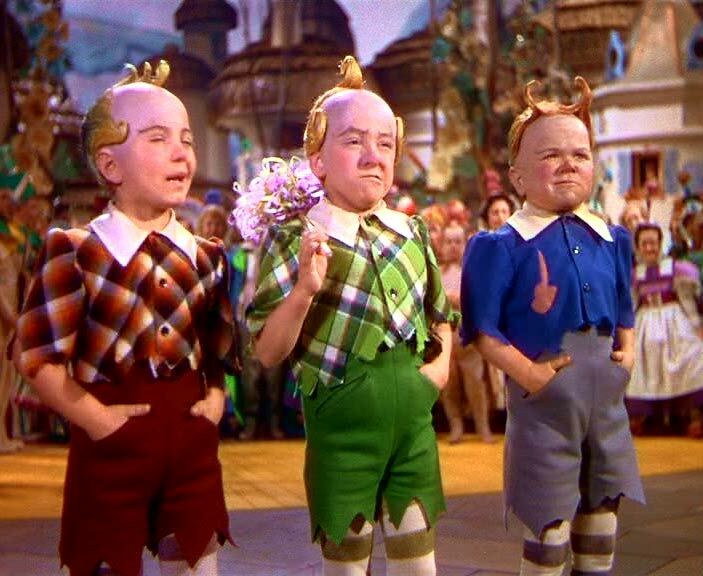 The documentary was part of the annual July airing of “Wizard of Oz” to celebrate when it was released. In this documentary actor/writer John Waters (who seemed rather bizarre) said that remaking the “Wizard of Oz” would be suicide and it would fail; the only way it would work would be with completely unknown actors, but that wouldn’t even be fool proof. Well John, looks like they didn’t listen to your advice. However, as much as I want it to, I doubt Tim Burton’s movie will fail. Everyone seems to love his creepy, odd direction and films and they all do fabulous in the box office. I personally am not a fan, but it seems I am the only one who is not. Ok two things Ryan: 1.) Hasn’t Angelina already proven that (in film and real life haha)? 2.) I wouldn’t say Angelina is the “biggest star in the world.” All she does is adopt babies and occasionally act. I had forgotten about her until I saw a preview for “Salt.” She wasn’t even at the Academy Awards! I don’t know about how many of you feel about remakes. I personally hate them. It usually seems I worry and worry and worry about them and then they fail in the box office anyway or you never hear about them. Examples of this would be: “The Women” (2008)-second remake of 1939 Joan Crawford film, “Beyond a Reasonable Doubt” (2009)-remake of 1956 Dana Andrews film or “Psycho” (1998)-remake of the 1960 Hitchcock film. After I told my mother, she said, “Next they will remake ‘Gone with the Wind’!” I disagree, because it doesn’t seem that anyone is interested in the South except for we southerners. Also, “Gone with the Wind” has been dubbed ‘racist’ because it has slaves in it, so I’m not sure how current politically correct would tip toe around the historical fact that there were slave owners in the 1800’s in the south. However, Robert Osborne, prime time host of Turner Classic Movies and my idol, shakes his head when people call the film ‘racist’ and reminds his viewers that it was a different time in film and you can’t take everything from contemporary standards. How do you feel about the remake? Do you think it will fail? What classic movie is next to go on the chopping block? Recently my mother told me that we had an estimated 222 movies taped off of Turner Classic Movies. Why you ask? Every month I flip through the “Turner Classic Movie Now Playing Guide” and make a list of 20 to 50 movies to tape. 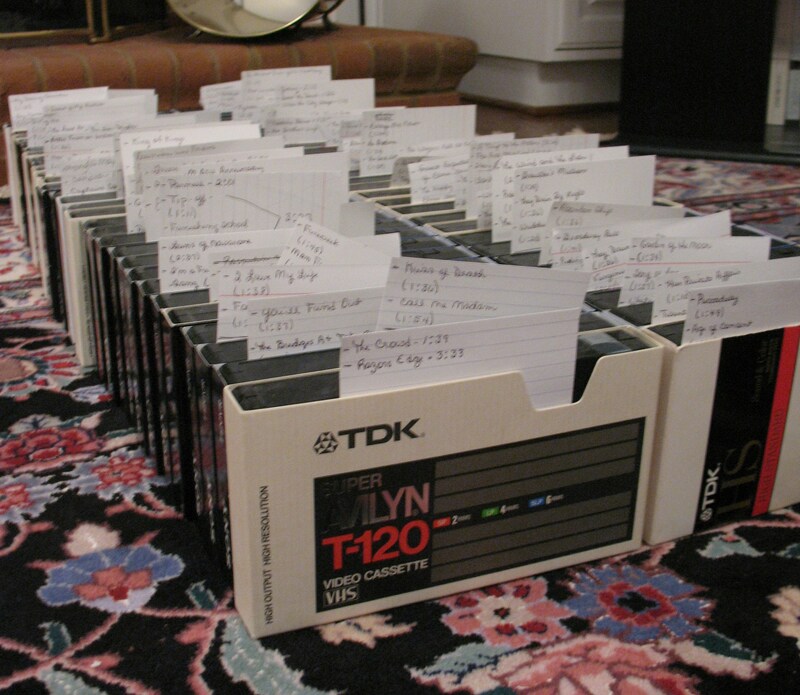 Our family owns a DVR but we use VHS tapes, because they hold more, are reusable and usually give us higher quality. I tape so many movies so I can fulfill the many lists I have made to organize my old movie obsessions. -Silent Movie list: This currently only has 40 movies. I only started really getting interested in silent films in late 2008 and just started the list in March 2010. -Screen teams: This is a list of famous screen teams such as Errol Flynn and Olivia De Havilland, Myrna Loy and William Powell, Annette Funicello and Frankie Avalon. I try to see all of the movies the screen teams were in together. -Movies Series: Similarly to the Screen Teams list, I am trying to see all the movies in certain film series such as Andy Hardy, Dr. Kildaire and Maisie. -Actresses Lists: I have 47 actresses that I am trying to see all of their movies. A few of these are Jean Arthur, Bette Davis and Kay Francis. So far I’ve only seen all of Judy Garland’s movies. -Actors Lists: Similar to the actress list, except with 19 actors. Lists include Van Johnson, Dana Andrews and George Brent. Recently, I have started a rather ambitious list. It is all of the movies from 1939- a total of 514 movies and I have only seen 84. It’s amazing to look at all of the films that came out during what is known as “Hollywood’s Greatest Year,” and I was inspired to try to see all of them. Turner Classic Movies showed a documentary in the summer of 2009 called “1939: Hollywood’s Greatest Year.” The documentary said the reason this year was profitable was the United States was slowly getting out of the depression and the film companies were able to fund bigger projects. However, this glory only lasted one year. Two years later World War II hit, actors were drafted and America and Hollywood put their efforts toward the war on the home front and overseas. 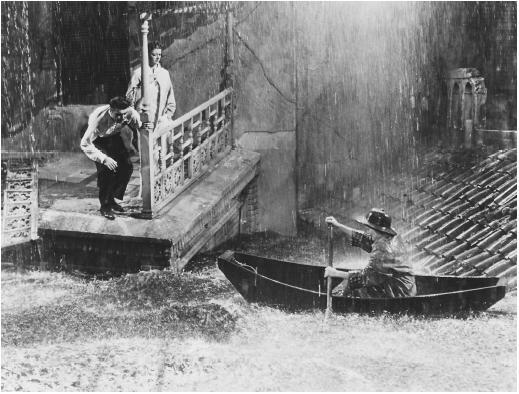 Once the war was over, the tone of America and movies changed from light and happy 1930s films to darker and angsty melodramas, according to the documentary. In a way, this is why I want to make the list. I feel like when people hear 1939, they think of “Gone with the Wind” or “Wizard of Oz,” but there were so many other special movies that year. I want to see if the other films that you don’t hear about have that same magic. Who knows, once I finish watching all 514 movies maybe I’ll try my hand at writing a book. Making the list took maybe three days, however I know that the watching process will take much longer. I’m worried about being able to track some of the movies and making it through low budget crime movies.